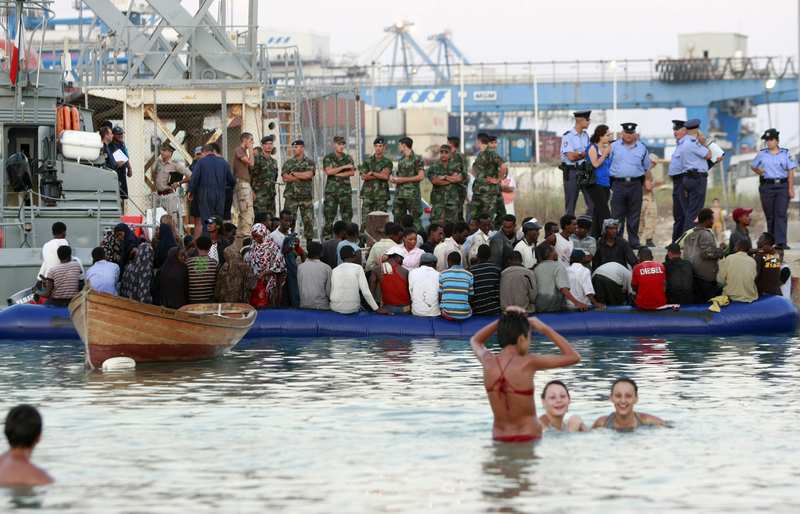 Maltese people swim at Pretty Bay in Birzebbugia as migrants wait to disembark from a dinghy on July 27, 2008. Ninety-five migrants were intercepted by the Armed Forces of Malta two miles off the island and escorted to shore while on their way to reach European soil from Africa, authorities said. This was a picture I had seen in my mind’s eye many times before I actually took it. I had long wanted to capture an image showing an almost absurd juxtaposition of contrasting elements, and this occasion certainly provided it in full.